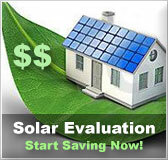 New York residential solar energy incentives | Solar Panels | Solar Power | Site Map | Bookmark This Site! -This financial incentive provides a discount on the building permit fee to residents in Riverhead who plan to install photovoltaics on the property. -Before the code was revised permit fees for solar panels were often up to $1,000, now the permit fee is $150 flat rate. -Residents of Southampton who install photovoltaic systems with 5 kilowatts AC or larger will receive a rebate of $2,500 through this program. -Applicants must submit all required certificates and invoices to qualify and systems must comply with all laws and meet all standards. -Smaller systems are not eligible for a rebate. -New York residents are offered a personal income tax credit equal to 25% of the equipment and installation cost of solar electric systems up to $5,000 if the system was purchased and installed on or after September 1, 2006. All systems purchased and installed before that date have a maximum incentive of $3,750. -Fuel cells are also eligible for a personal income tax credit of 20% of the total cost with a maximum incentive of $1,500. -Residential solar-electric systems are limited to a maximum capacity of 10 kilowatts and fuel cells have a maximum of 25 kilowatts to be eligible. -Residents of New York City are allowed a property tax abatement for photovoltaic system expenditures made on their property. -PV systems installed between August 5, 2008 and December 31, 2010 will receive an abatement of 8.75% of expenditures per year for four years. Systems installed between January 1, 2011 and December 31, 2012 will receive 5%. -New York residents who make energy conservation improvements to their homes are able to tax exempt the improvements from their property taxes. -The amount of the tax exemption is equal to the amount of the value added to the home due to the improvements. -Solar and wind energy systems are included in this exemption. -The state of New York allows a 15 year real property tax exemption on all solar and wind energy systems. Biomass is also eligible for this tax exemption. -The amount of the exemption is equal to the total increased value of the property due to the wind, solar or farm waste energy system. 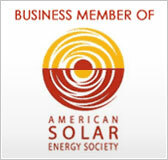 -In New York, solar energy systems are 100% exempt from state sales and compensating use taxes. -Eligible solar energy systems utilize solar radiation to produce energy designed to provide electricity, hot water, heating or cooling such as photovoltaics, solar space heating and solar water heating systems. -Participating lenders of the New York Energy Smart Loan Fund provide low interest rate loans to residents who wish to make energy efficiency improvements and renovations or add renewable energy systems to their home. -Interest rates at generally 4% lower than the lender rate and remains at that rate for up to ten years. -Maximum loan amounts are set at $20,000 for a 1-4 family home. -The New York Energy Smart Loan Fund offers an unsecured loan of up to $20,000 to residents who wish to install qualified energy efficient and renewable energy equipment and technologies in their homes. -To be eligible for this loan a certified contractor of the Building Performance Institute must perform a Comprehensive Home Assessment. The borrower will then work with the contractor to decide which improvements will be made. -All mandatory forms and certificates must be sent to the program administrator in order to receive this loan. -Participants must be customers of a specified utility to qualify. -Residents of New York who install qualifying grid connected photovoltaic systems are eligible to receive an incentive of $2.00 - $5.00 per watt DC. -Maximum capacity for residential systems is 8 kilowatts. -Maximum incentive amount is $28,000 for residents. 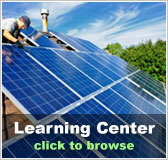 -Through this program, National Grid offers funding for residential customers who install solar thermal technologies. 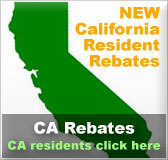 -This rebate pays 15% of the total of a residential system. - Maximum incentive amount is $1,500. -In order for participants to receive a rebate, they must share their water heating usage data for 12 consecutive months. -The LIPA solar rebate program offers rebates to residential customers who purchase and install solar PV systems. -Rebate amounts are approximately 50% of the system cost. -Eligible residential PV systems have a capacity limit of 27.5 kilowatts. -Rebates are only provided for the first 10 kilowatts. -Net metering is available to customers of LIPA who have solar, wind or hybrid systems up to 27.5 kilowatt capacity. -Systems must have a single-bidirectional meter which calculates the flow of electricity in both directions. -Net excess generation (NEG) is carried forward from month to month at the customer's retail electricity rate and shows up as a credit on the customer’s monthly bill. -The state of New York offers the option of net metering to it’s residential customers who own grid connected solar or wind energy systems.